Published: November 2004. Last Updated: August 2011. 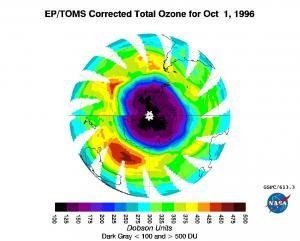 Total Ozone Mapping Spectrometer (TOMS) image of Southern Hemisphere atmospheric ozone concentration for October 1, 1996. Image courtesy of NASA. In this chapter, you will examine Total Ozone Mapping Spectrometer (TOMS) images from the EarthProbe satellite that show how much ozone is in the atmosphere over the Southern Hemisphere. You will interpret the images to identify the ozone "hole" that develops over this region every year during the Southern Hemisphere's spring, comparing its size from year to year. 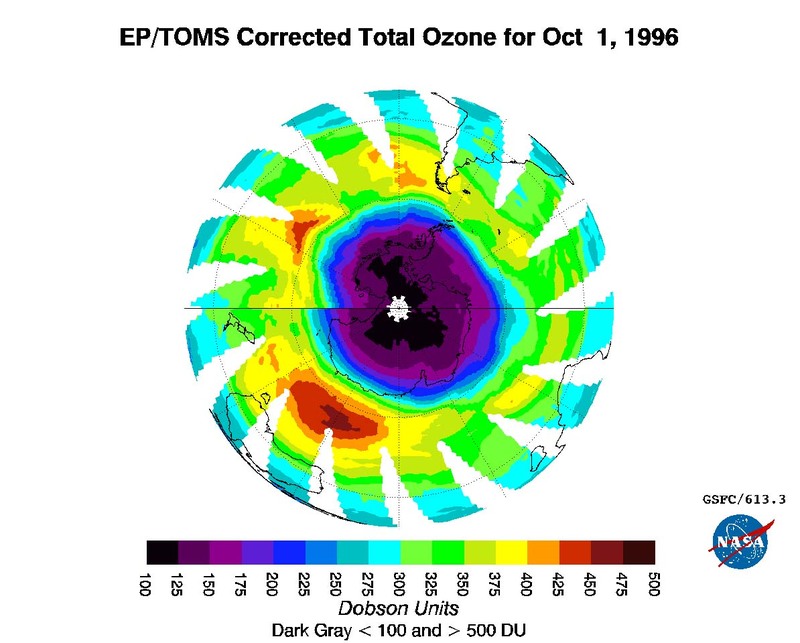 Next, you will use ImageJ, a public domain image analysis program, to quantify the area of the Antarctic ozone hole each October from 1996 to 2005. You will import your measurements into Microsoft Excel and create a graph to document changes in the size of the ozone hole.